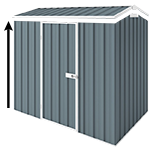 Our zinc YardSaver G66 steel garden shed offers exceptional value. It is a perfect medium size backyard garden shed priced to make sure it is a great bargain for everyone! 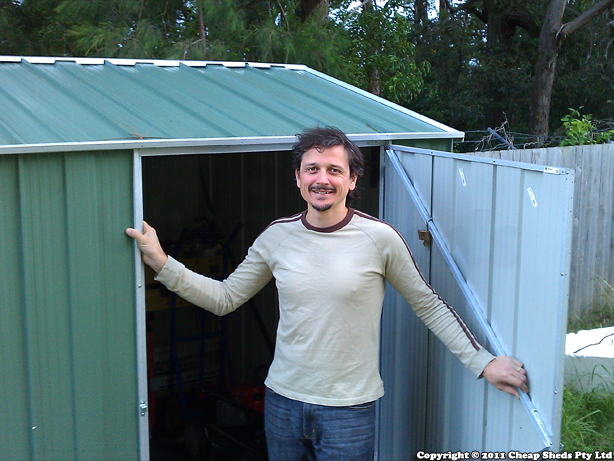 Nice little shed; perfect size for my small yard and the wide entrance door makes storing items like wheel barrows and the lawnmower easy.